You may consider yourself a tea connoisseur, or perhaps you enjoy a nice, refreshing cup of mint tea once in a while. Either way, you've never had a real cup of mint to unless you've had it the Moroccan way. Saying you love mint tea while you've only ever bought it from the grocery store, is like saying you love pizza but have only ever been to an American pizza chain. You may think you love mint tea, but you just haven't had the real deal yet. If you want the best mint tea you'll ever taste, you need to visit an authentic Moroccan restaurant. You will immediately notice a world of difference in the quality of the drink. 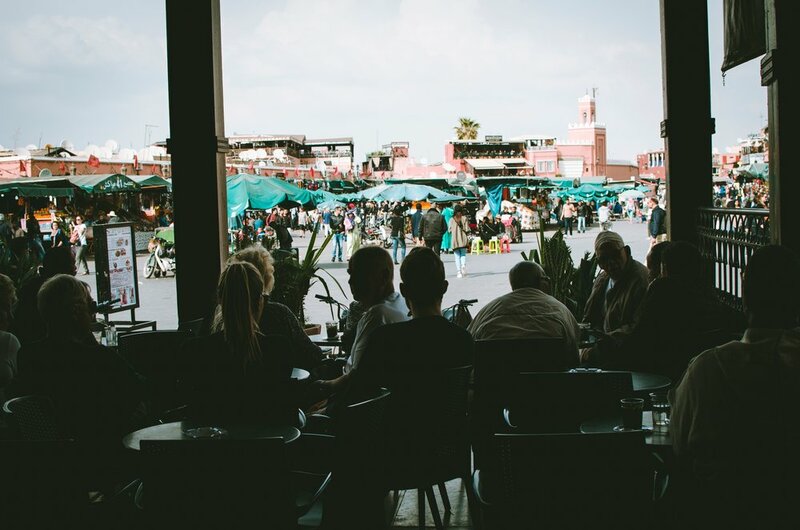 In this blog, we'll discuss why you'll find the best mint tea at a Moroccan restaurant. If you want the best curry, you'll go to an Indian restaurant. If you want the best tacos, you'll go to a Mexican restaurant. If you want the best mint tea, you'll go to an authentic Moroccan restaurant, and here's why. If you ever visit Morocco, one of the first things you'll notice is their immediate offer for tea. No matter where you go, whether it's a restaurant or someone's home, they'll offer you tea. Tea is a sign of hospitality, and you will never go anywhere where tea isn't offered. If your host doesn't bring a pot of tea out, they would be considered extremely rude. It just doesn't happen. Moroccans drink tea all day, every day. It is ingrained in their culture and has been since it was introduced around the 18th century. Near the end of the 18th century, entrepreneurs in Morocco started adding mint leaves to their tea, creating the famous mint tea that we know and love today. Not only was mint tea drank for its delicious taste, but also for the many health benefits it provides. If you buy mint tea at the store, you'll get tea that tastes of mint but has no sweetness to it. If you want your tea to be sweet, you'll need to add sugar or honey. In Morocco, brewing the tea with sugar is just as important as the mint. They use a ton of sugar in their tea. Without brewing with sugar, it is not considered authentic Moroccan mint tea. Brewing mint tea is relatively easy. All you need it the green tea, boiling water, fresh mint leaves, and sugar. However, the way it is served is just as important to the tea's flavor as any of the ingredients. This is where non-Moroccan mint tea brewers will go wrong. You must pout the tea from the pot high above the cups. This enhances the mint flavors which makes a world of difference. If you need any more convincing on why Moroccan restaurants make the best mint tea, visit our restaurant and try it for yourself!